Detachable eyebolts & D-clips included. 25mm square-section diagonals for easy grip. 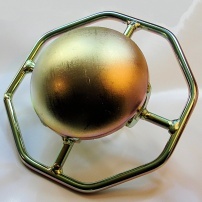 Gold coloured plated finish for comfortable handling. 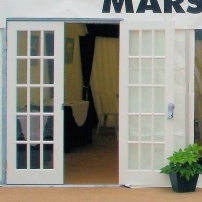 Updated design with domed top - helps marquee covers slide over easily over and minimises roof wear. 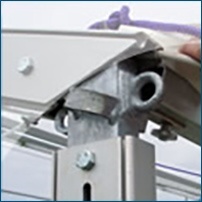 Integral ring on underside for easy attachment of lighting or linings. 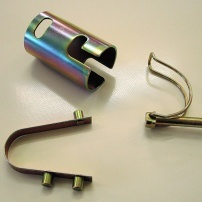 Twisting collars, eye-bolts, 3-button springs and D-clips available from stock in packs of ten. 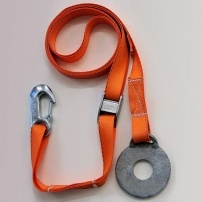 Guy straps (available in white or orange) - neater, faster, easier than guy ropes. 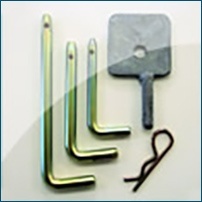 Clips to frame eye-bolt, stake inserted through integral ring plate. Allows you to off-set a marquee leg if needed, i.e. to avoid a doorway. Sliding T-piece also available. Made from reinforcing steel for good grip. 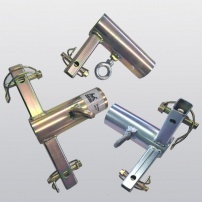 Multi-purpose fittings for hard surface installations - can also be used to make banner frames. 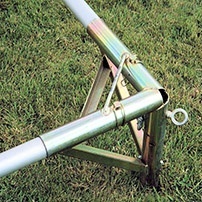 Available as corner, T or end fittings, slides over tubular leg. Standard size takes any two 6' x 2'3" wooden doors. 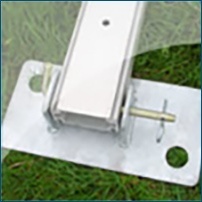 Can be used in clear span or tubular frame marquees. Also available with infill panels, sprung top bar and short side rails to fit 3m clear span bays. Create extendable 3m walkways, using small roof beams, 3m x 3m roof panels and 3m gables, together with your existing 6m/9m clear span components. 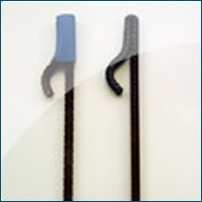 With offset holes for internal or external staking. Galvanised. Larger version available for 12m wide frames. 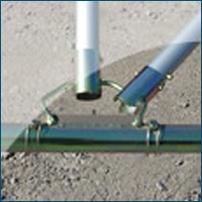 Includes internal ring for attaching linings or marquee divisions. Galvanised finish. All those important items to hold your frames together - available in packs of ten. Replaces scissors in a 3m bay to facilitate access. 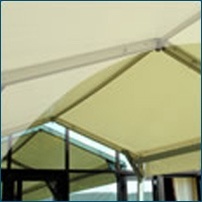 One size beam fits 6m,9m,12m or 15m wide clear span marquee frame. 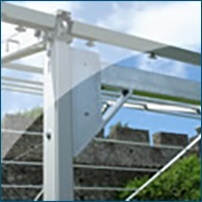 Includes wire cable for attaching walls. Galvanised finish.